A Transducer which will allows your multimeter to measure electrical current up to 60A AC or DC, with a frequency response up to 20kHz. The extended measurement jaws allow performing measurements in a narrow space. 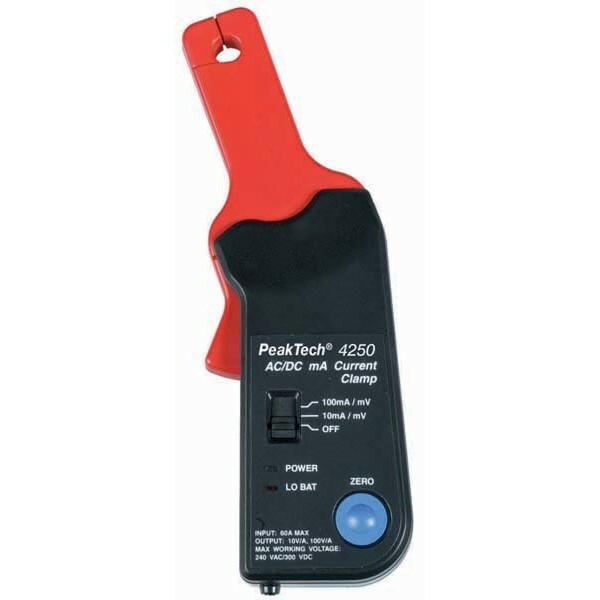 The clamp adapter is applicable to leakage detection or monitoring. For conductor diameter up to 9mm.